Kubota L4701: $29,399 CASH or $30,299 Financed at 0% for 60, 0.99% for 72, or 1.99% for 84 months ALL WITH $0 down, approved credit; some restrictions may apply. 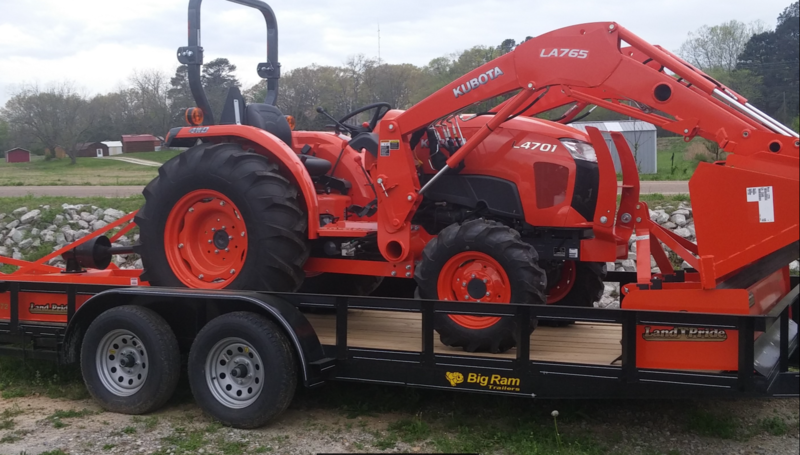 The Kubota L4701 tractor package deal has a ton to offer. A tractor package deal with tractor, box blade, cutter and trailer is sure to please. Stop by Coleman Tractor today or call for more information on this great package deal. *With Approved Credit. 0% financing is only available on Kubota equipment.